it almost looks like one... if not, what is it? and he has had others. It's not an Epiphone either, nice looking though. 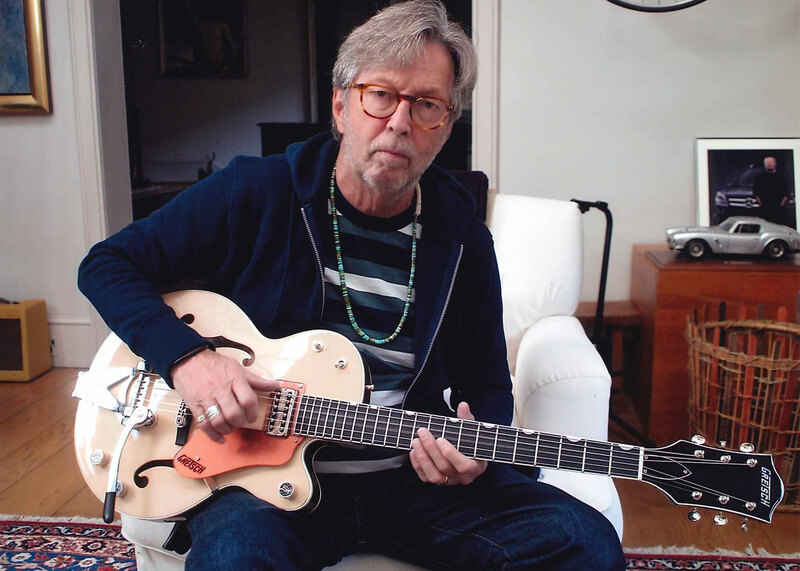 He gave up on the 6120 in the Yardbirds days cos he said the controls were too complicated. Well there ya go. 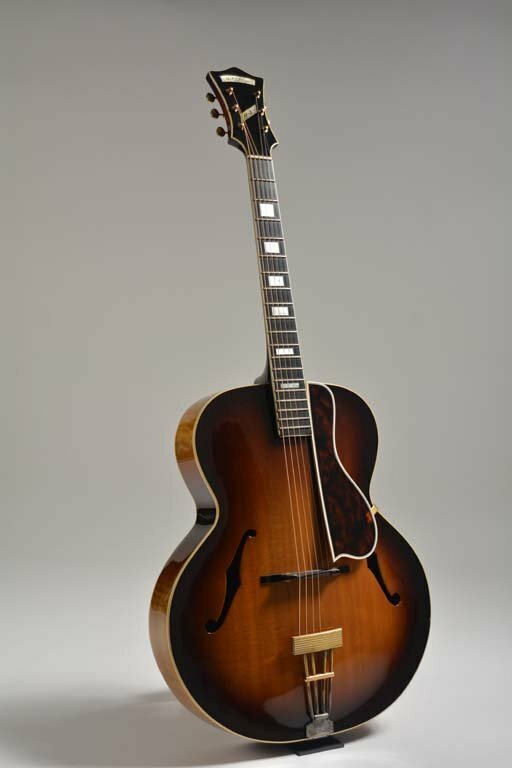 I think that's a mid-1930's D'Angelico model A-1. Not sure if that pickguard is original, though. Clapton has owned several D'Angelicos, some of which were sold through Gruhn a couple of years back. Exceptional detective work JimR56... my first thought was 'that's gotta be a D'Angelico'... but the headstock threw me off, as Clapton's wasn't so elegant. I also came across that same video you posted. Nice looking guitar!